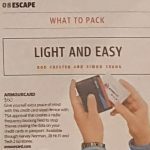 Travel Expert and Advice Column Recommends Armourcard to readers. 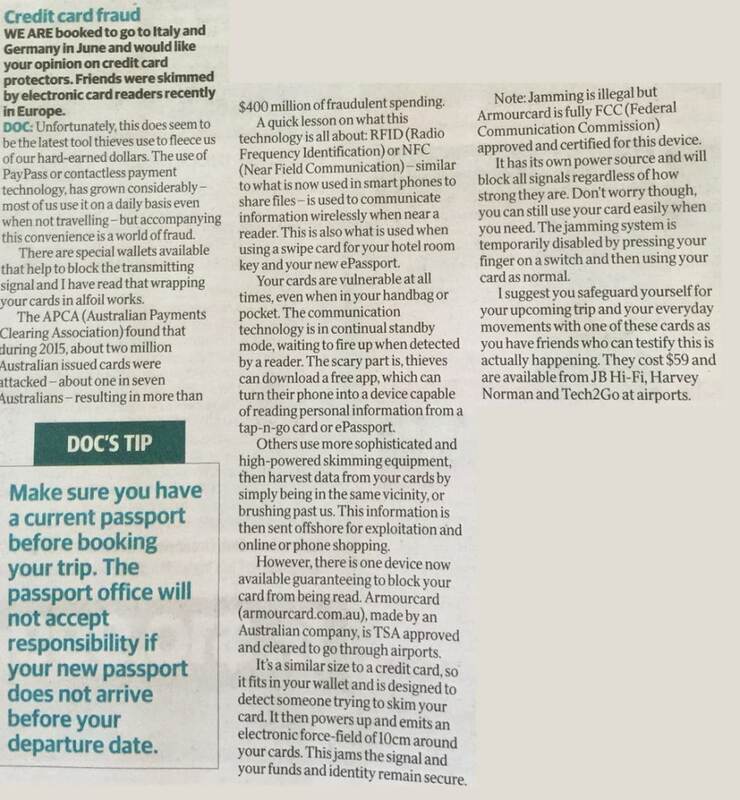 Acclaimed travel advice column DOC HOLIDAY featured in the Sunday National News Limited newspapers has recommended Armourcard as a must have while travelling. This was a fantastic surprise to wake up to this article this morning while out having breakfast with my family. 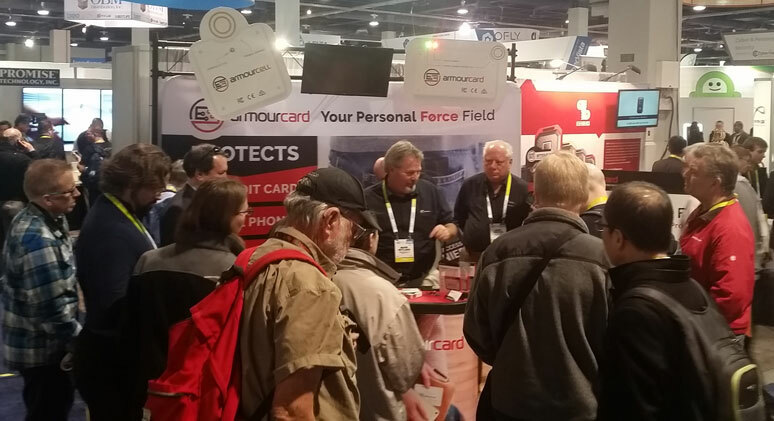 …with a lot of passive card type devices currently flooding the market and being touted trying to blur the lines between their products and our patented technology, we are so pleased to see that the travel professionals who we look to for advice recommend Armourcard as the best product to protect you. Armourcard is the only product to have FCC (Federal Communication Commission) approval as we needed it as Armourcard emits a “Jamming signal”, we are also TSA approved to go through airport security. 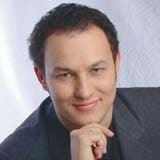 To read the article see the newspaper snipet below. 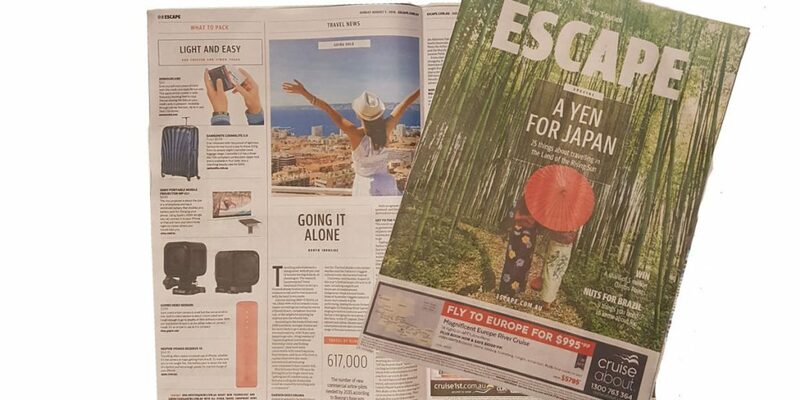 A big thank you to Tracy Grimshaw & Trevor Long for featuring on ACA Armourcard and a running a great story raising awareness of the vulnerabilities surrounding the technology that most of us already have in our wallets and purses. Trevor Long went on to show how easy it was with freely available software on an NFC enabled smartphone to actually skim credit card details of a card. 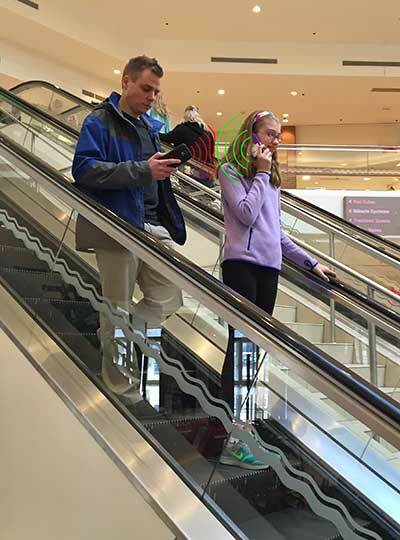 or in your local shopping mall. Your personal data can be skimmed and sent instantly across the other side of the world to clone onto a mag-stripe card. Trevor also mentioned that with this technology becoming more accepted into our lives could open the floodgates to profiling your data for more identity theft-related crimes. 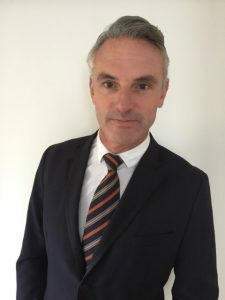 Tyler Harris, Armourcard CEO was featured showing how an Australian invention is helping prevent this wireless skimming crime by our product Armourcard. 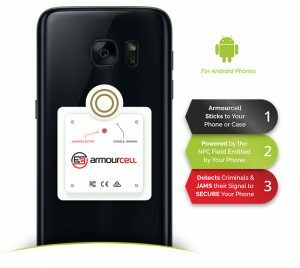 Armourcard is the only product in the world to actively jam the frequency (or communication link) between your credit cards and the criminals with reader trying to wirelessly skim your data.